Many of us have experienced sunburn at one point or another. While this is often due to lack of sunscreen, there are many times when sunburn occurs despite wearing protection. By having a clear picture of what sunburn is, it’s easy to see why skin can get burned even when sunscreen is used. 1.1 Why Does Your Skin Peel? The skin responds when exposed to ultraviolet (UV) light, which can lead to sunburn when excessive. When skin is exposed to as little as 10 minutes of intense UV light, it uses an amazing defense system designed to protect it against this particular enemy. The cells on the skin start to thicken, while pigment (or melanin) is produced. Tanning is actually the body’s attempt to stop harmful rays from entering the deeper layers of the skin. Sunburn is indicative of damage to the skin, which can range from mild to severe. When the skin is overexposed and the defense system can no longer keep up, the skin becomes burned and the skin cell’s DNA can become damaged. 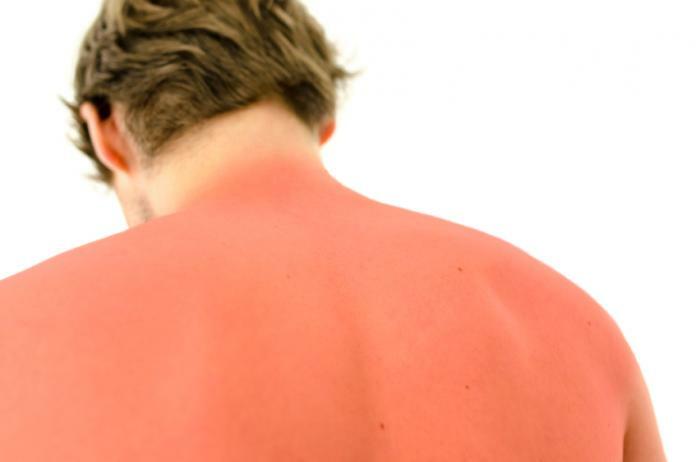 When out in the sun, the first sign of sunburn is skin redness. 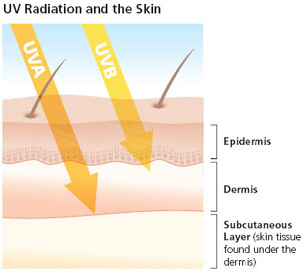 When the skin cells become damaged due to UV overexposure, the body sends out an inflammatory response by dilating blood vessels and increasing blood flow. After this, the skin starts losing hydration and moisture, and the skin feels tight and dry. Excessive sun exposure often leads to hypo- or hyper-pigmentation, which appears as irregular dark or light patches on the skin. When the body is exposed to little sun damage, it can cope and fight it. When it’s exposed to greater damage, the ability to fight becomes lower. If the skin cell’s DNA becomes damaged, the consequences can be severe, such as long-term skin damage and skin cancer. Why Does Your Skin Peel? After you get sunburned, your body tries to rid itself of the cells that have been damaged. The damaged cells are at risk of becoming cancerous. Because of this danger, every damaged cell is bound to be sacrificed by the mechanisms for repair. This results in mass cell death and the layers of sunburned skin shed. After the skin is peeled off, new cells underneath those layers replace the old. When sunburn occurs, it’s important that you act to avoid further damage. If you have been exposed to the sun for too long or the sunlight is too intense, you should get out of the sun immediately. Additionally, it’s crucial to consume water to counteract the dehydrating effects of sunburn. Severe sunburn can result in systemic changes and blistered skin, which may require medical assistance. If your inflammation is on the mild side, it’s important to decrease the inflammation as quickly as possible. Cool water or Aloe Vera can help to reduce the sunburn and avoid skin dehydration. A soothing gel designed for after-sun care can be applied to the inflamed areas. Clove, lavender, yucca, yogurt, cucumber and licorice are also known to reduce irritation and redness. Always avoid greasy creams because these prevent the skin from cooling. It’s important to keep the damaged skin out of the sunlight during the entire healing processes to avoid further damage. Sunburn can result in irreversible skin damage, which can lead to premature aging, damage, and disease. Therefore, be sure to avoid excessive sun exposure and take precautionary measures. Apply sunscreen often, wear clothing that protects you from the sun, and watch for signs of sunburn to avoid painful, irritating, and harmful burns.